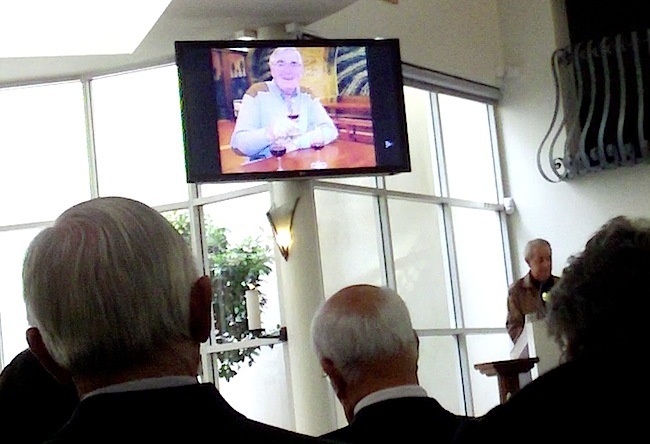 It is with great sadness that we report the passing of Marion Leyer’s beloved husband John. 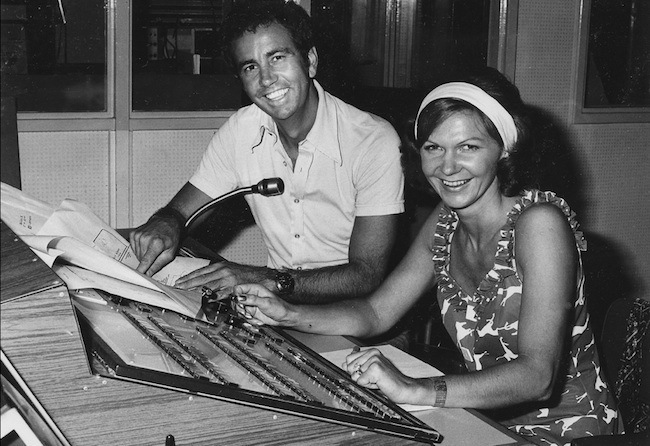 Marion was for many years a key person in the production field at both TVW Channel 7 and NEW Channel 10 in Perth. Both came to Australia after the war and experienced great success in their respective fields. John Leyer was born in Berlin in 1937. The family came to Perth when John was just 16 in 1953. He spent time in a holding camp in Northam, until the family gained lodgings in West Perth. 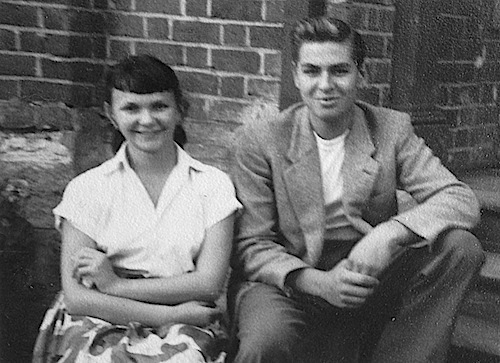 It was at this time that John first met the girl who would later be his wife, a 12 year old Marion Greiling. After his apprenticeship, John gained employment in the steel fabrication industry. Meanwhile, TVW’s Brian Treasure employed Marion for secretarial work in 1960. Gordon McColl fondly remembers Marion walking down Cobham Avenue on that day towards her interview, for he was going the same way and gave her a lift to the studios. 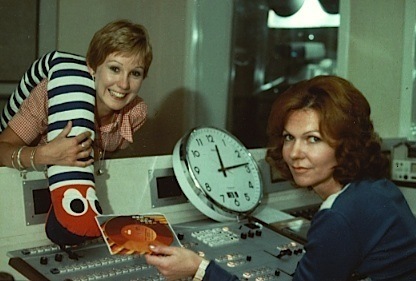 Marion’s highly regarded work ethic soon launched a career in television production, where she produced and directed the live ‘Children’s Channel 7′. 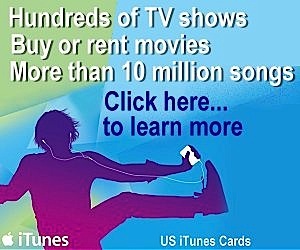 This involved talent quests, quizzes, hobbies, nature studies, games etc. Marion was also busy producing the weekly quiz programs ‘Post Office’ and ‘It’s Academic’. It was during this time that John became reacquainted with Marion, and eighteen months later they married in 1971. From 1971 to 1975 Marion directed the national half hour children’s variety program ‘Stars of the Future’, which received Logie Awards in 1972, 1974, 1975 and 1976. Brian Smith helped produce the award winning show. The inaugural Channel Seven Christmas Pageant was launched in 1972, at a time when John was well established in the steel industry. 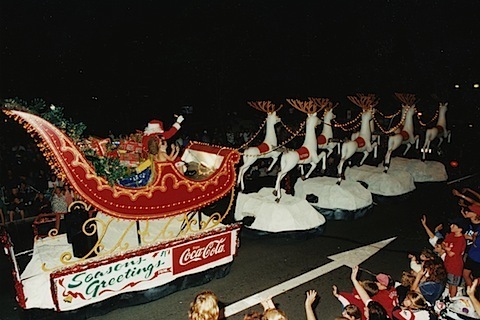 Richard Ashton points out that it was his company that built nearly all the Christmas Pageant float bases for TVW, including the large multi-trailer Father Christmas one. This event was a great credit to Marion and all those dedicated people who worked on it, particularly the special projects unit headed by Max Bostock. Max pointed out that Police figures, show that crowds increased rapidly from 100,000 in 1972 to 350,000 in 1977. He is proud that it continues today with the high standard of production maintained. The multi-trailer base for the Father Christmas float was made by John Leyer’s company, whilst the reindeers were made by MG Car Club’s Patron John Goff. This float for the first time had stereo sound from speakers under each trailer section. From 1976 to 1979 Marion produced the 24 hour ‘Telethon’ programs and ‘Christmas Pageants’ plus the weekly teenage program called ‘Hey Jude’ and various specials. 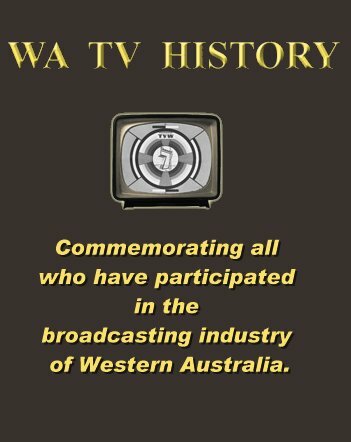 The TVW special projects unit was engaged in many programs and promotions, including the introduction of colour TV and produced the opening of the Perth Entertainment Centre, the 1978 American TV special ‘Bob Hope Down Under’, then a historic climax in 1979 with the 150th Anniversary of Western Australia and the ‘Miss Universe Pageant’, for which Marion played a very important role. Among other matters, Marion had responsibility for the 74 delegates and 42 chaperones (who also acted as interpreters) and arranged their itineraries, hotel bookings etc. When TVW purchased Fernseh cameras, all the manuals came in the German language. It was Marion who translated the text to English, for the engineering department. The cameras were mostly used for single camera outside broadcasts. Marion was also the producer of ‘Celebrity Challenges’. Marion’s tremendous efforts over the years culminated in her appointment as TVW Production Manager in October 1979. John made a number of career changes over the years, filling various management roles until settling into the wine industry, which benefitted much from his great knowledge of the subject. 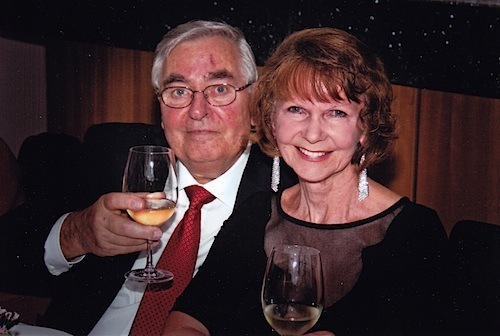 John and Marion were keen entertainers when it came to intimate gatherings of friends, who enjoyed stimulating conversation and a love for good food, music and wine. Marion’s career spanned 25 years at Seven, before moving onto consultancy work with the Australian Olympic Federation, which in association with Network Ten, produced Australia’s Olympathon to raise money for the Australian team to go to the Seoul Olympics in 1988. This was then followed by her appointment as Director of Production with the newly established NEW Channel 10 in Perth. Before, and since retiring, John and Marion were great travellers, who visited every continent, except Antarctica. Sadly, it was on their last voyage that John passed away in the arms of Marion, during a Mediterranean cruise in May. Its fitting that they enjoyed a wonderful meal and wine on that last evening. Marion’s heartfelt words best describe their special relationship. “My darling husband of 41 years, my soul mate, lover and best friend died in my arms on May 30, 2013. Brian Smith has been Marion’s rock helping during this sad time… and contributed to the eulogy presentation at John’s funeral service on Tuesday afternoon June 18th, 2013.